A parliamentary report in 1777 recorded parish workhouses in operation at Petersfield (for up to 40 inmates), Greatham (12), and Eastmeon (60). 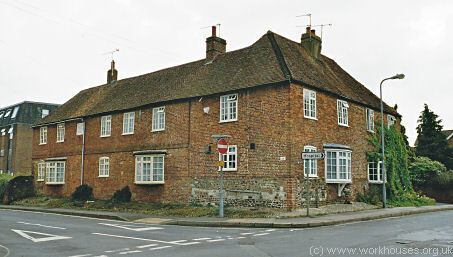 An L-shaped group of mid-18th-century cottages on Swan Street in Petersfield was used as a local workhouse from 1771. Petersfield former parish workhouse, 2004. The Poor are chiefly supported in a Workhouse, under the superintendence of a standing overseer, who has been in office 5 years. He does not reside in the house, but attends at meals, provides victuals, and collects the Poor's Rates. To his good management the reduction of the rates is principally ascribable. He pays every attention to the wants of the necessitous, and administers the concerns of the parish with fidelity and discrimination ; notwithstanding this he is disliked by the Poor and several attempts have been made to burn his house The gentlemen, however, stand by him and approve of his proceedings. His salary is £30 a year. 22 persons, mostly old women and children, are in the house. They are principally employed in cleaning the street. In the winter there are 50 or 60 persons in the house. 9 families receive out relief. Table of diet: Breakfast, every day—Bread and milk. Dinner—Sunday, Wednesday, Friday—Pickled pork, pudding and vegetables ; Monday—Cold meat, etc. ; other days-Bread and cheese. Supper, every day—Bread and cheese. Beer is allowed at dinners and suppers. Half a pound of cheese a week is allowed to each grown person. Bread is not weighed. Sometimes, instead of pork or bacon, a little coarse beef is bought for the Poor; broth is then used, but not when pork or bacon is boiled. 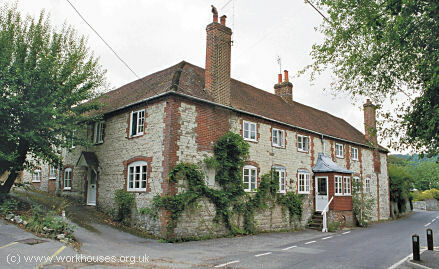 A row of six cottages on the High Street in Buriton served as the parish workhouse. 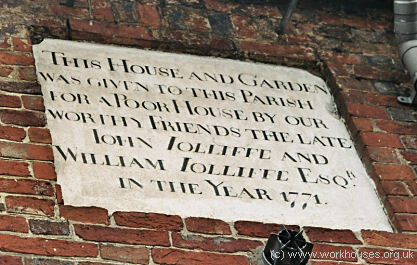 A stone in its walls bears the inscription Poor House 1791. Buriton former parish workhouse, 2004. Hampshire: Buriton, Colemore, East Meon (2), Empshot, Froxfield, Greatham, Hawkley, Lyss or Lyss Turney, Petersfield (3), Prior's Dean, Privett, Steep, Sheet. Later Additions: Bramshott (1869), Langrish (1894). 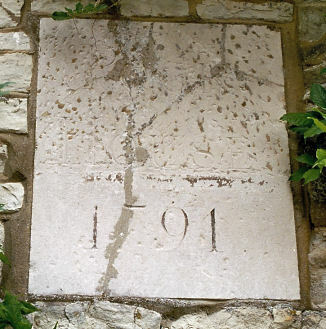 The population falling within the union at the 1831 census had been 7,111 — ranging from Empshot (population 149) to East Meon (1,455) and Petersfield itself (1,423). The average annual poor-rate expenditure for the period 1832-35 had been £7,153 or £1.0s.1d. per head of the population. The new Petersfield Union workhouse was erected in 1835. Its architect is unknown but it followed the popular cruciform layout. In 1837 the Poor Law Commissioners authorized an expenditure of £4,350 on a building to accommodate 100 inmates. Its layout and location are shown on the 1869 OS map below. A chapel was erected to the north of the workhouse in the latter part of the nineteenth century. The southern part of the buildings have been demolished. 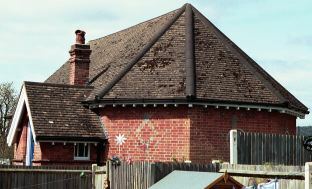 After a period of use by the Petersfield social services department, the site was redeveloped for residential use in 1997. Hampshire Record Office, Sussex Street, Winchester SO23 8TH. Very few local records survive.